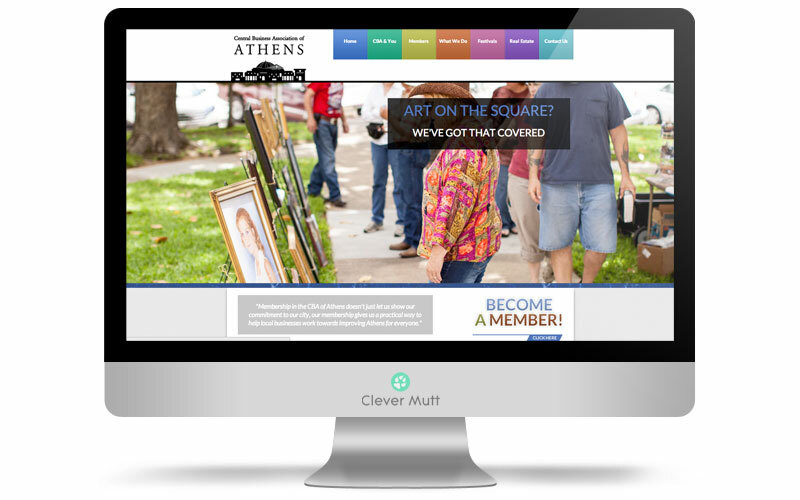 The CBA of Athens hired Clever Mutt™ to provide a new modern website powered by the Clever Mutt™ Portal web CMS for self-management. 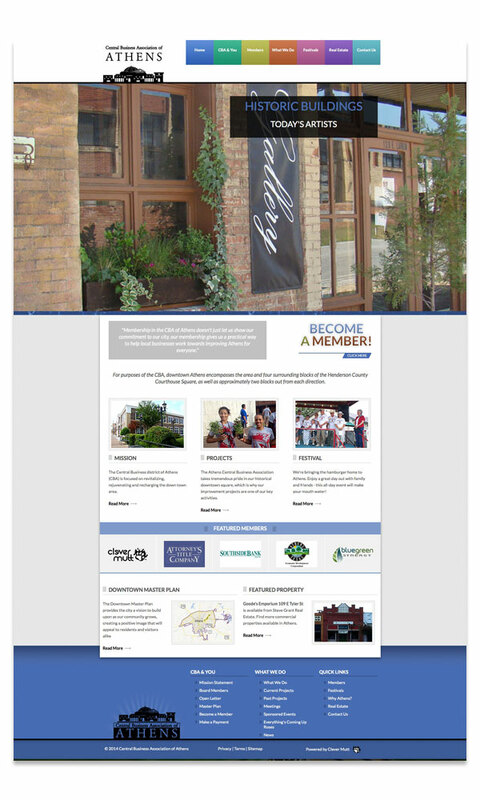 The new website includes changing color coding topical sections, membership information and application forms, member directory, local commercial real estate listings, festival information, current and past projects, and much more. 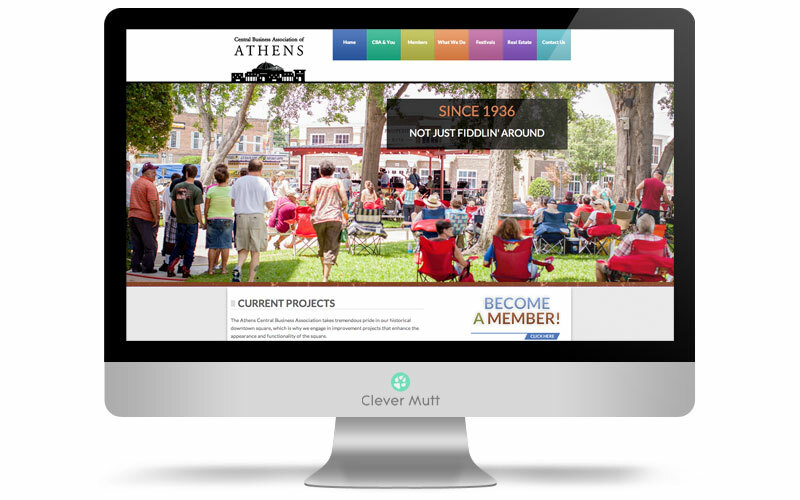 The Athens Central Business Association (CBA) was established in the early 1990s by local civic leaders and merchants, to promote business growth and economic revival for both the Historic Downtown Square, an the many surrounding businesses of Athens.